The value of jewelry displays will surely increase in these marvelous jewelry showcases! Setup includes jewelry showcases in custom laminate. 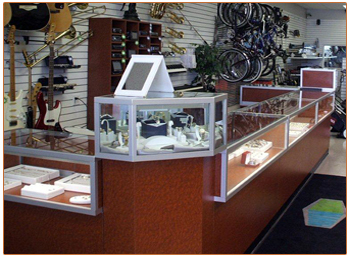 Raised corner showcases add beauty and dimension, as well as emphasis to special merchandise.